The Week in iOS Apps: Game on! This week’s roundup of new and improved apps for the iPhone and iPad includes something for the nerds—we mean that in a good way!—something for the jocks, and something for everybody who just wants a better way to check their email. Byword: Lots of Macworld writers and editors enjoy writing in the Markdown language, and the desktop version of Byword recently received praise from contributor Kirk McElhearn, who called the program a “solid text editor.” The $3 version for iOS will let him and others use the program across a range of devices, thanks to its ability to sync with Dropbox and iCloud. The mobile app works only with plain text formats, but that’s enough to enable users to easily compose documents and blog posts that feature a lot of HTML. 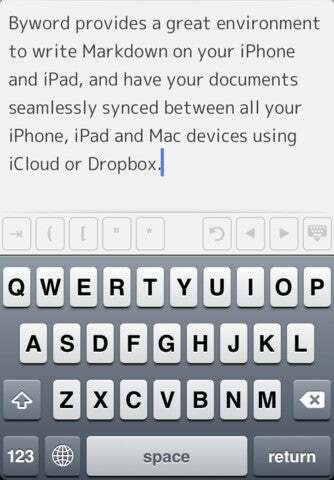 Users can also print Byword documents directly from their iPhone or iPad, using AirPrint. Camera+: Previous versions of the $1 Camera+ app have been highly praised—Time named it one of the 50 best apps of 2011. The biggest changes include “dramatically improved” sharing functions; photos can be shared to Facebook, Twitter, or Flickr. Users can also bulk import pictures from their device’s photo library for editing—and they can now choose between several workflow options, including taking mulitiple photos before editing, or snap-and-edit one-by-one. One other notable update: Photographers can now lock in the focus and exposure of the camera independently of each other, giving them flexibility in creating the picture they want. Khan Academy: The Khan Academy is kind of a junior—and more-focused—version of the TED talks that are so popular on YouTube, featuring thousands of video lectures on topics ranging from alegebra to civics to art history, which are designed to help young students and in some cases augment clasroom teaching. The company’s new free iPad app lets users download videos for offline viewing; those videos also include subtitles to help viewers follow along. 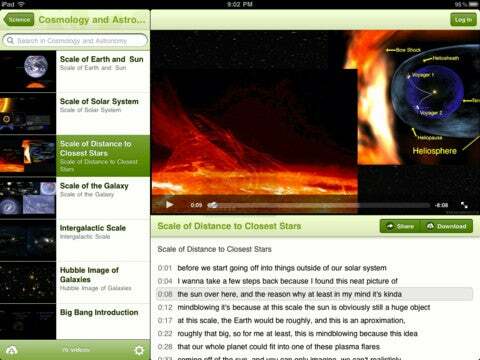 Students can get “credits” for viewing videos, and the app tracks your progress through a course. Developers say that classroom practice exercises are coming soon to the app. 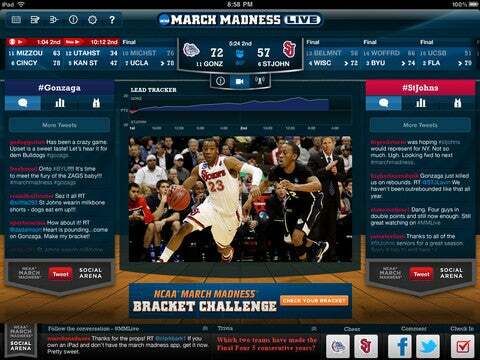 NCAA March Madness on Demand: Even though the NCAA tournament is already under way, it’s far from too late to grab this great, free hybrid app. Like previous editions, the app lets you watch every game—up to the Final Four and the men’s basketball championship—on your iOS device. Unlike previous editions, though, that experience is going to cost you; a $4 in-app purchase gives you live video of all games. (An audio-only option is included free, and lets you listen while you work on other tasks.) If you’re a basketball junkie that extra dough will also give you live video of team practices, as well as 3G support—which means a reduced chance of missing tipoff because you’re stuck in the car. You can also view scores from the games you aren’t watching. OnCue: Former Macworld contributor Dan Pourhadi has updated his popular OnCue music app, which of this writing is on sale for a limited time at $1. 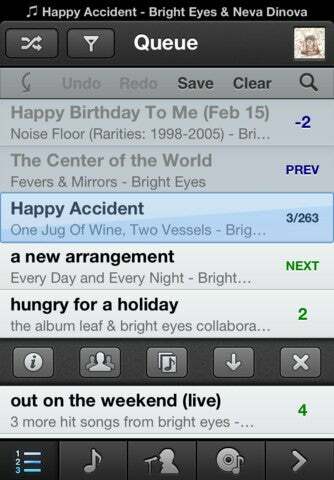 As before, the app lets you create iPhone music playlists that can be changed on the fly. Even though your songs are queued up, for example, you can add a new song to be played right after the song that’s currently playing. The new app is a “total rewrite” that prompted Pourhadi to designate this the 5.0 version of the app, an upgrade that jumped directly from the 3.0 version and skipped 4.0 entirely. Some of the big changes? Revamping the navigation to a touch-hold-drag-and-drop style of queuing music and the creation of Smart Queues that let you choose your music by applying artist, genre, duration, and other filters to your music library. Pourhadi has also upgraded the app’s crossfade feature, letting users customize the fade-in and fade-out volumes of music to suit their tastes. Sparrow: Just last year, Macworld’s Nathan Alderman called Sparrow’s desktop app “light, fleet, and beautiful to behold.” Now the email client has arrived as a $3 app, bearing many of those same qualities. 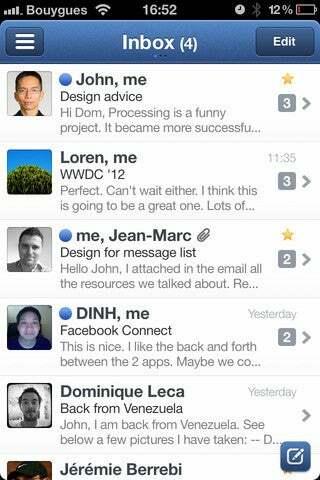 Sparrow for iPhone supports Gmail, AOL, Yahoo, and other IMAP accounts—it also includes your friends’ profile pictures with the messages they’ve sent you. There are a couple of improvements on the iPhone’s native Mail app: For one thing, it’s possible to attach photos on your device to an outgoing email in the app itself. 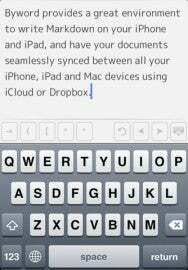 (For Mail you either have to paste in an image, or send a message from the Photos app.) 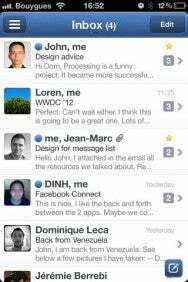 Secondly, you can “mark as read” every item in your inbox with one push of a button. The app also features swipe-based gestures that makes navigating your mail a bit easier. Generic Company Place Holder Khan Academy - Watch. Practice. Learn almost anything for free.